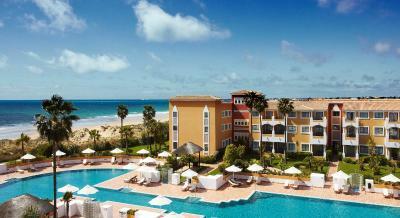 Lock in a great price for Gran Meliá Sancti Petri – rated 9.3 by recent guests! The architecture is so fitting with the culture, lovely courtyard with fountains and water sounds all day long. Daily evening live music. Such friendly and helpful staff everywhere. Great rooms and outdoor garden and pools. We had a level access suite (was really spacious and nice) which enabled us to use the lounge which was great for a quiet breakfast and drinks throughout the day. Lovely complex, clean, friendly staff. Swimming pool was beautiful and big. Reception & valet staff super friendly & helpful. Smaller hotel which is lovely if you don't want to be in a huge hotel with lots of people around. Gorgeous space inside the rooms, in the hotel grounds and on the beach. Large and clean pool. 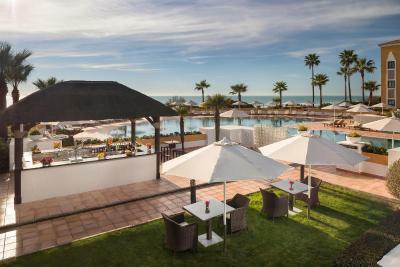 Stunning architecture, respectful of the Andalusian tradition and a beach to die for. Very kind and helpful staff overall. 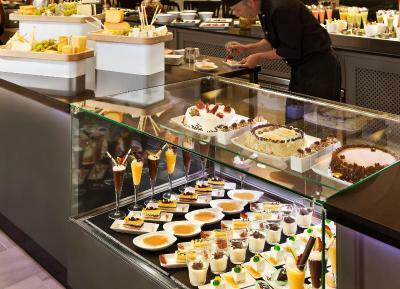 The food in the buffet was ok, not mind blowing, but acceptable and of large variety. The food in the aqua restaurant was beautiful. Knowledgeable masseuse instrumental to relaxation!! 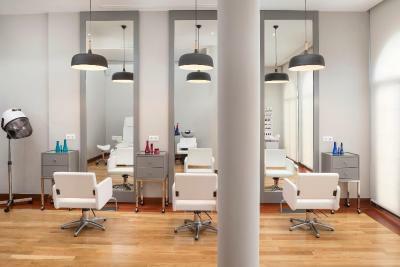 Overall it was great and some attention to detail in a few points will elevate the experience. 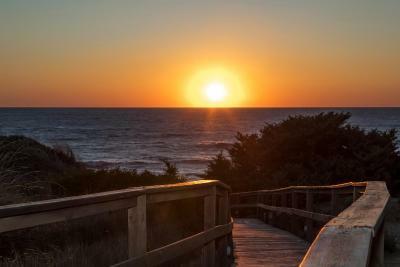 Location on the beach, excellent service, good sized room & beds. Breakfast was amazing with a great variety of different food. Restaurant Aqua and Bar San Fernando incredible. Superb beaches, private Level 1 garden suite with own sun beds and Bali bed, lovely pools, good food. Good breakfast with a lot of choice! Comfy bed, clean room, amazing pool and outstanding beaches! Gran Meliá Sancti Petri This rating is a reflection of how the property compares to the industry standard when it comes to price, facilities and services available. It's based on a self-evaluation by the property. Use this rating to help choose your stay! 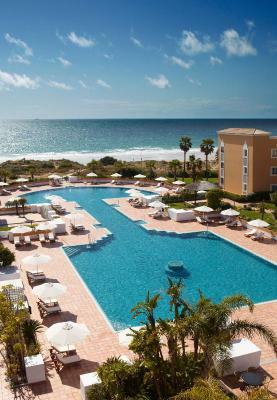 Set in an Andalusian palace, this luxury hotel offers a free spa, a large outdoor pool and direct access to La Barrosa Beach. 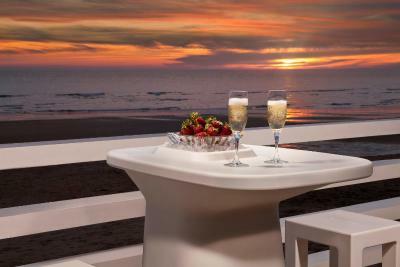 Each elegant room includes a furnished terrace. 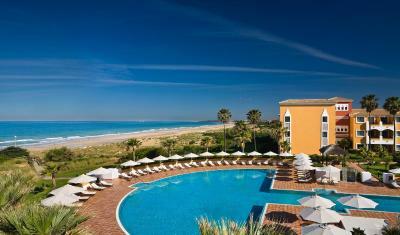 Gran Meliá Sancti Petri offers spacious rooms with a seating area and flat-screen satellite TV. Decorated in light colors, they all include free WiFi and a mini-bar. 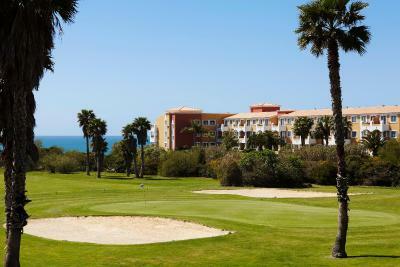 The hotel is located next to Novo Sancti Petri Golf Course, on the Costa de la Luz. 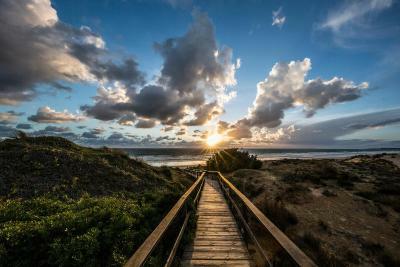 Jerez Airport and the beautiful city of Cádiz are both around a 45-minute drive away. 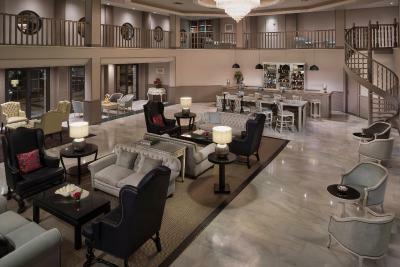 The hotel also offers The Level personalized service in some of the hotel’s superior rooms. This service includes, among others, access to a private adults-only swimming pool, free usage of superior amenities, a la carte breakfast service in the room, private breakfast at The Level Lounge and an open bar area. The Sancti Petri has a beautiful marble courtyard with arches and fountains. 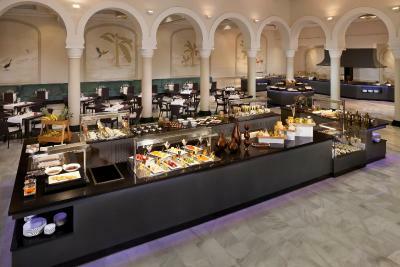 Various restaurants are located in the patio and gardens, including buffet and à la carte options. The hotel offers free hammocks on the beach to all its clients. The hotel’s spa includes a Roman bath, foot spa and water jets. 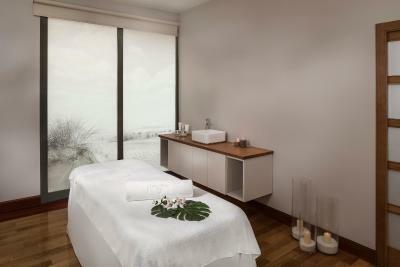 You can book a wide range of massages and beauty treatments. This property also has one of the top-rated locations in Novo Sancti Petri! Guests are happier about it compared to other properties in the area. This property is also rated for the best value in Novo Sancti Petri! Guests are getting more for their money when compared to other properties in this city. When would you like to stay at Gran Meliá Sancti Petri? This spacious, elegant room includes a furnished terrace, a sofa, free Wi-Fi and flat-screen satellite TV. It's in a wing of the hotel surrounded by landscaped grounds. This room has a maximum capacity of 2 extra beds or 2 cribs. 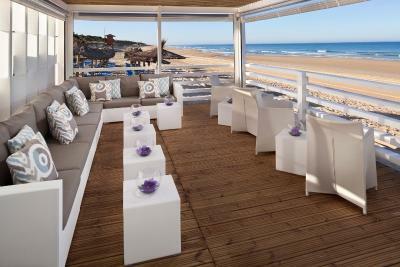 This spacious and elegant room comes with a private terrace with partial sea views of La Barrosa Beach. It comes with a King size bed or 2 single beds, a sofa, free Wi-Fi and flat-screen satellite TV. 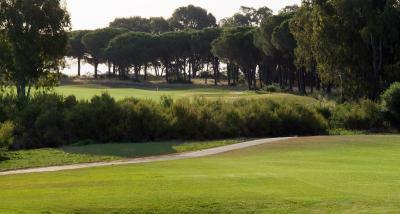 This spacious, elegant room features views over the golf course Novo Sancti Petri. 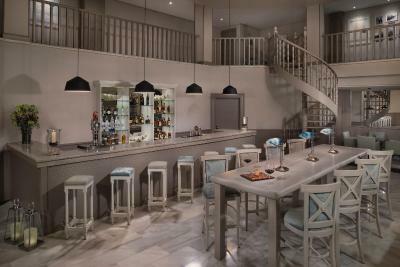 It includes a private furnished terrace with views, a sofa, free Wi-Fi and flat-screen satellite TV. This bright room features elegant décor with Andalousian touches and views over the garden. It comes with a sofa, free WiFi and flat-screen satellite TV. 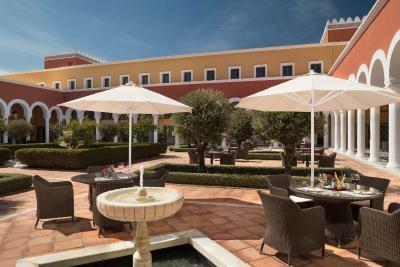 It is located in a wing of the hotel surrounded by landscaped gardens. Located next to the hotel's gardens and featuring views of the central pool and the gardens, this premium room features a modern décor with Andalousian touches and comes with a mini-bar and air conditioning. This premium room features frontal sea views and comes with a Mediterranean classic décor. There is also a terrace or balcony with sea views. The room also features a King size bed or 2 single beds. This elegant and spacious room features a King size bed and a terrace with frontal sea views. There is a spa bath in the room and a rain shower. This spacious room comes with a 25m2 terrace including a Balinese bed and 2 sunbeds. Located on the ground floor of the hotel, it comes with a King size bed and a private garden with access to The Level swimming pool. 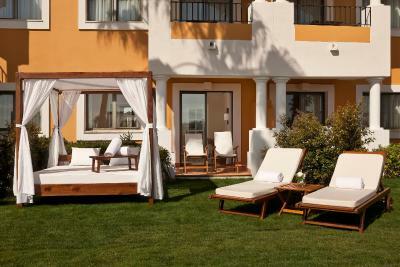 This superior room comes with direct access to the private swimming pool for The Level guests. It also comes with a spacious private terrace, a Balinese bed and 2 sunbeds. It features a King size bed and rain shower in the bathroom. 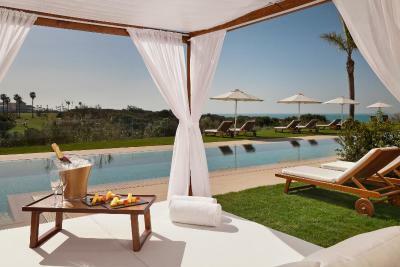 This spacious 61m2 Suite room comes with a terrace featuring panoramic sea views. It also has direct access to the garden located on the ground floor. The room also features a King size bed and a rain shower. 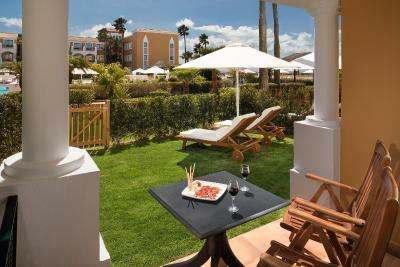 This spacious room comes with a 40m2 terrace and private gardens. Located on the ground floor, this room has direct access to the main pool of the hotel. This room also features a King size bed. This spacious family room comes with a private furnished terrace with views of the gardens. It also features a complete bathroom with bathtub and shower, a sofa and a mini-bar. This double room features a balcony, tile/marble floor and view. This triple room has a balcony, sofa and soundproofing. This quadruple room features a balcony, air conditioning and sofa. This triple room has a balcony, soundproofing and seating area.